Find your opportunity...here in Smyth County! Smyth County accepts bids for various projects. To request bidding information or obtain further information, please click read more below. Please visit our online payments page if you would like to pay your building permit fees, circuit court fees, personal property taxes, real estate taxes or water and sewer bill. The information contained hereon does not replace information that may be obtained by consulting the information's official source. In no event shall Smyth County, VA or the consultants of Smyth County, VA be liable for any damages, direct or indirect, from the use of the information contained on this site. 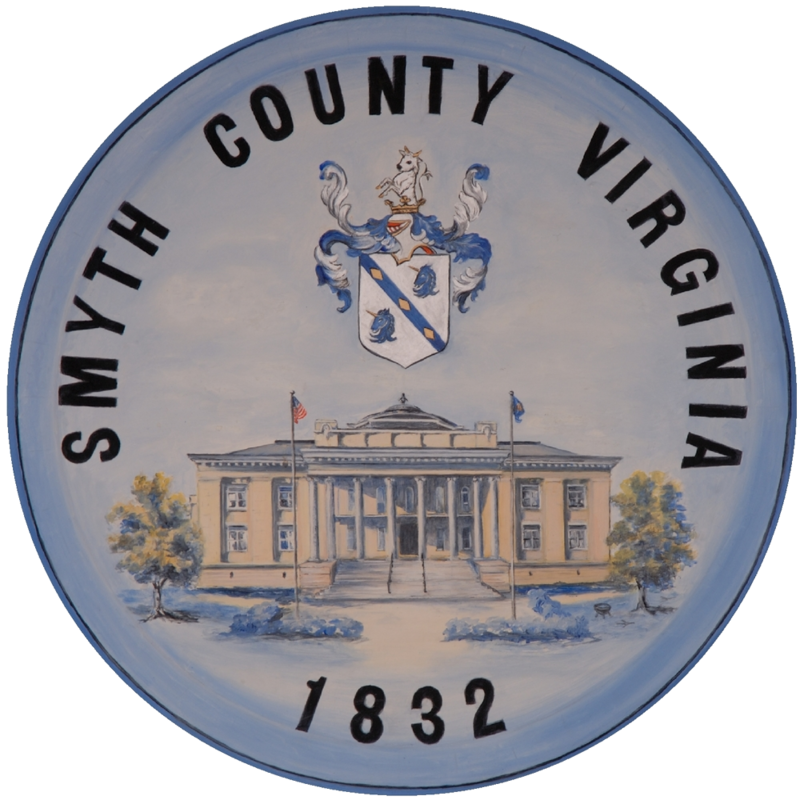 On February 23, 1832, the Virginia General Assembly created Smyth County from parts of Washington and Wythe Counties. Smyth County is named after General Alexander Smyth who once represented this area in Congress. Smyth County is located in the lower portion of the Great Valley of Western Virginia. Interstate 81 runs through the county's central valley, and intersects with Interstate 77 approximately 25 miles northeast of the Town of Marion. Three towns are located in Smyth County: Marion (the county seat), Chilhowie, and Saltville. The county has three major valleys carved by the three forks of the Holston River , and a large portion of the county is located within the boundaries of a popular tourist destination, Mount Rogers National Recreation Area. Every year, thousands of visitors and county residents alike enjoy Hungry Mother State Park and the Mount Rogers National Recreation Area. If you grew up here, you know about the pace of life, sense of family and community and the beauty of Virginia's Great Southwest. Those things are still the same. Even better now that a new career option may be waiting on you to come and claim it. Get alerted about emergencies and other important information for Smyth County by signing up for our Alert Program. This system enables us to provide you with critical information quickly in a variety of situations, such as weather related closing, building issues like water leaks, evacuation of buildings, upcoming holidays, etc.